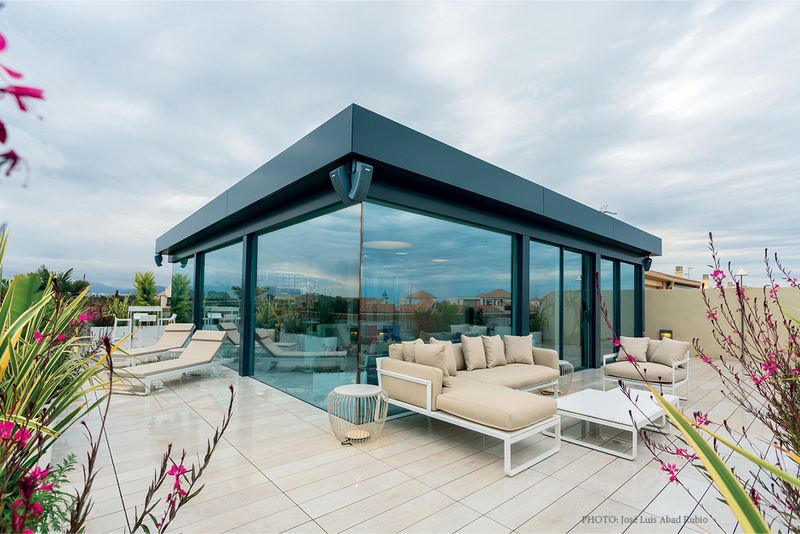 The time to enjoy moments outdoors is upon us with the cooler months behind and the memories of summer a few steps ahead. 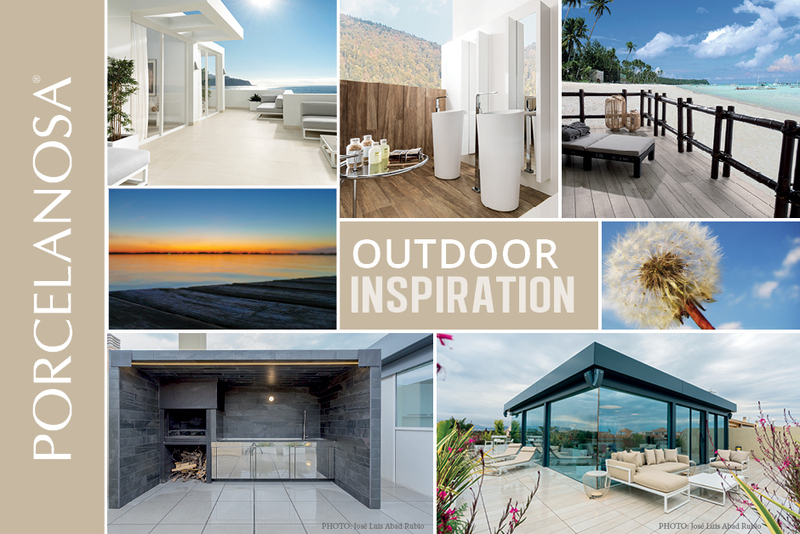 Your outdoor space is the backdrop for these memories, so it’s important to put thought into the tiles that you choose for this space. 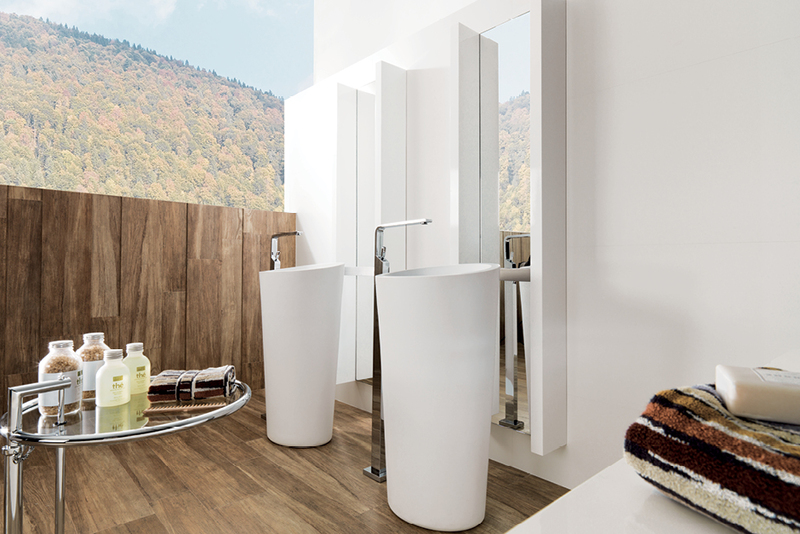 KAOS BEIGE NATURE is part of the Kaos collection which unites the strength and simplicity of natural stone with state-of-the-art ceramic tile technology. This warm colored tile features a rich relief texture, and can be used indoors and out to create uniform continuous surfaces. GLACIAR is a large format (18”x47”) white matte ceramic tile. Ideal for creating a crisp premium finish in large areas. 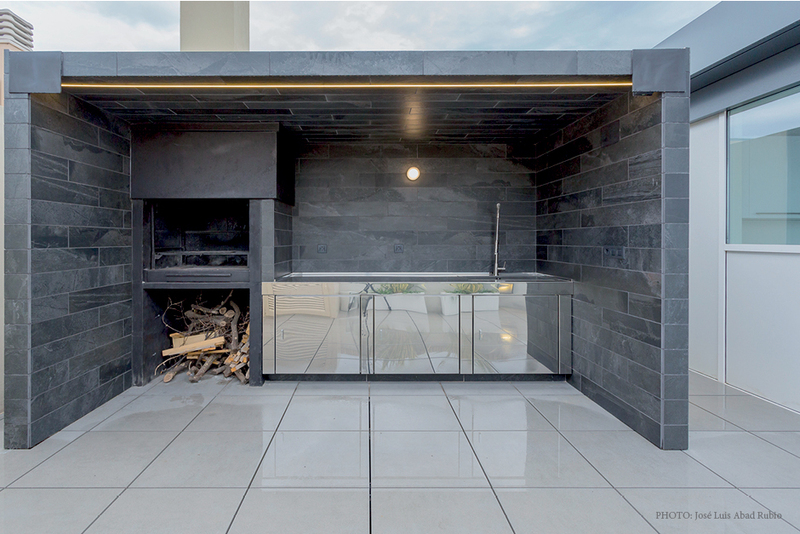 A rectified edge allows for minimal grout joints, ensuring a near seamless installation. For walls only. ASCOT GREY and OXFORD BLANCO are part of the Par-Ker Collection, featuring porcelain tiles that have the warm and inviting appearance of real wood, without the maintenance of hardwood. Ascot Grey, a dusty shade from the Ascot collection, was influenced by the natural beauty of wood from old 19th century manor houses. Its color was carefully chosen to boost the warmth of wood in any setting. 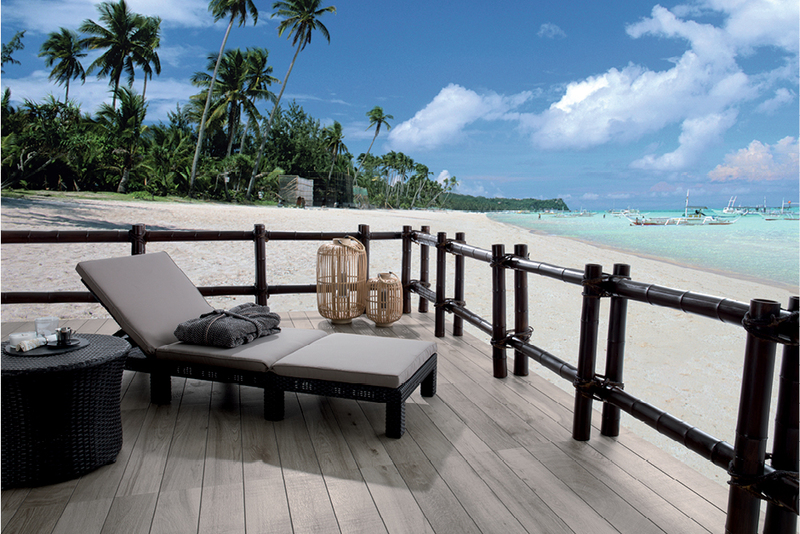 Oxford Blanco, on the other hand, is a cool white wood effect porcelain floor tile with realistic knots, grain and texture. 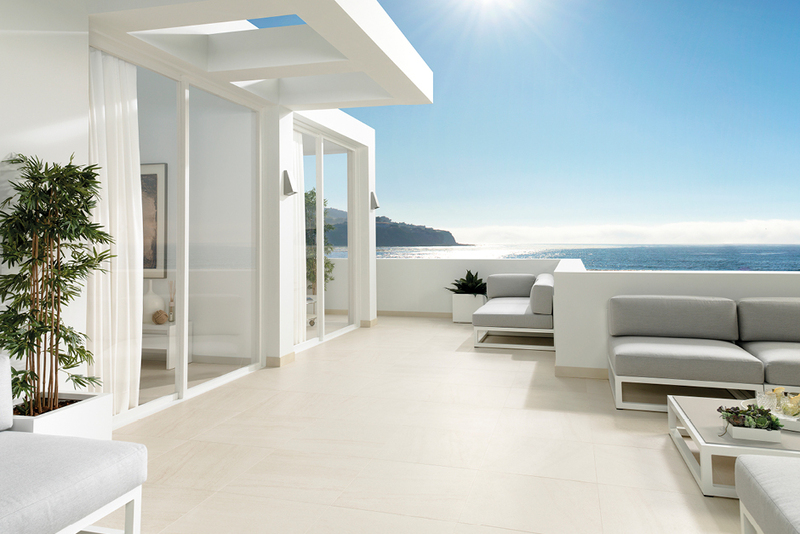 SAMOA ANTRACITA is a porcelain stone tile – it maintains the attractive appearance of natural appearance with all the benefits of porcelain. The finish perfectly simulates the grains, cracks, and fissures that are found in natural stone.